“Oil exploration in the Gulf brings new economic development opportunities but also brings risks,” Josh Gladden, University of Mississippi interim vice chancellor for research and sponsored programs, said in an Ole Miss news release. “The University of Mississippi has developed expertise in a number of areas, from engineering and sensing technologies to Biosystems, that can be brought to bear to minimize these risks and mitigate the impact,” Gladden said in the news release. 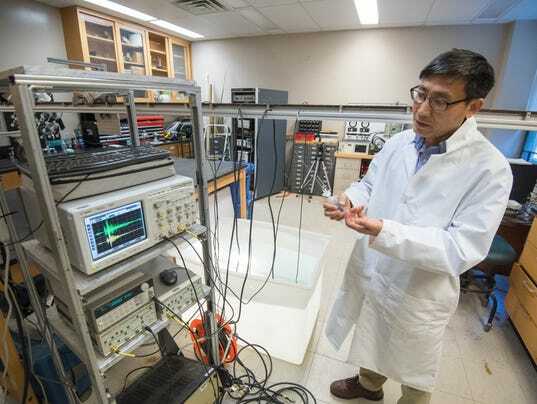 “This grant will provide a great opportunity to expand our research area that exploits the advantages of both underwater acoustic sensing techniques and oil spill-induced underwater sound mechanisms, along with an advanced localization technique,” Lu said. Before taking their technology to the ocean, researchers will test their detection and localization techniques/algorithm in a small-scale water tank under controlled oil spill conditions. “This functional system will help us to acquire the acoustic signatures of bubble sound, improve detection and location techniques, and gain better understanding of bubble sound,” Lu said in the news release.